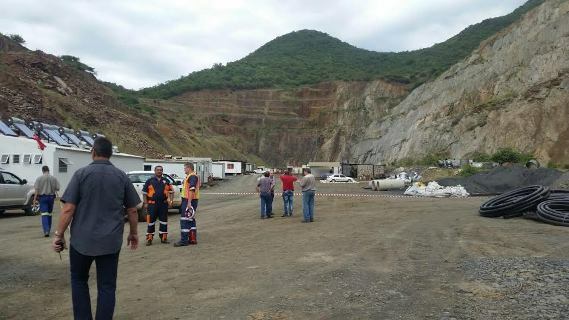 More than 100 people are trapped underground at a gold mine in Barberton, Mpumalanga, South Africa after a goldmine caved in today Friday, February 5. 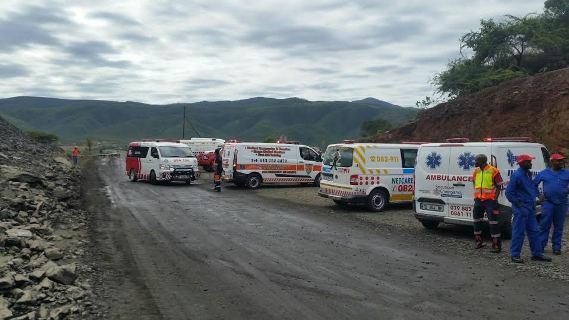 In a statement issued by the Association of Mineworkers and Construction Union (AMCU), the labour body says about 115 staff are trapped after the main offices at Makonjwaan Gold Mine caved in at around 8.40am. Spokesman Manzini Zungu says AMCU leadership are en route to the mine. He has heard unconfirmed reports that 3 people may have died. Zungu says it is possible that the incident was caused by a sinkhole, although Barberton is not known for such geological issues. Currently, says Zungu, it is not clear how far underground the miners are.